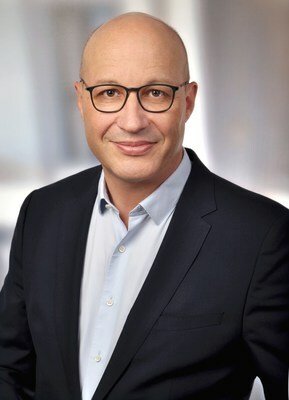 BENTON HARBOR, Mich., Jan. 18, 2019 /PRNewswire/ -- Whirlpool Corporation (NYSE: WHR) announced today Gilles Morel as President of the Europe, Middle East and Africa Region (EMEA) and Executive Vice President. In this role, he will report directly to Chairman and CEO Marc Bitzer. Morel brings more than 25 years' experience in the consumer goods industry, leading sales, operations, marketing, manufacturing, research and development, and procurement, including several regional leadership roles. His role with Whirlpool Corporation is effective April 1, 2019. "Gilles brings strong leadership skills, exceptional P&L ownership and a very good understanding of the European marketplace to our EMEA team," said Bitzer. "We look forward to seeing our EMEA business return to profitability and long-term value creation under his leadership." Gilles will assume leadership of the EMEA Region, headquartered in Milan, Italy with approximately 22,000 employees, a sales presence in more than 30 countries and 14 manufacturing sites in seven countries. "There is an abundance of talent along with great products and brands within Whirlpool EMEA and I look forward to building on the great work already in place," said Morel. "The industry throughout the EMEA region remains strong and I am fully committed to ensuring that we continue to lead and remain at the forefront of meaningful innovation." Morel presently holds the role of regional CEO (Northern and Central Europe) at Savencia Fromage & Dairy, overseeing 14 countries including Germany, Central Europe, Benelux and Nordics. Prior to that role he served in numerous regional leadership roles at Mars, Inc., most recently as Regional President, Europe and Eurasia. Gilles was born in France and holds a Master's Degree in International Food Industry Management from ESSEC. This press release contains forward-looking statements, including statements regarding profitability and long-term value creation. Actual events or results may differ materially from those statements as a result of many factors, including the company's ability to execute on its long-term business and value-creation strategies. For information about the factors that could cause such differences, please refer to our Annual Report on Form 10-K for the year.